Amsterdam: Bayern Munich coach Niko Kovac insisted on Wednesday Kingsley Coman's stunning late goal in their dramatic 3-3 draw at Ajax has put paid to talk of the 22-year-old's early retirement. 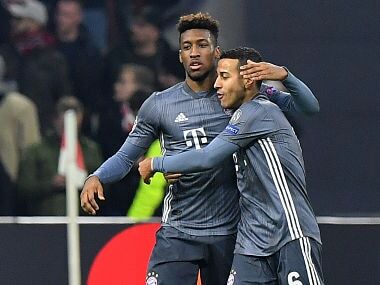 Coman helped fire Bayern to the top of Group E in the bad-tempered six-goal thriller in Amsterdam, which both sides finished with 10 men. The French winger came off the bench to put Bayern 3-2 up on 90 minutes before Nicolas Tagliafico equalised for Ajax in the fifth minute of added time. 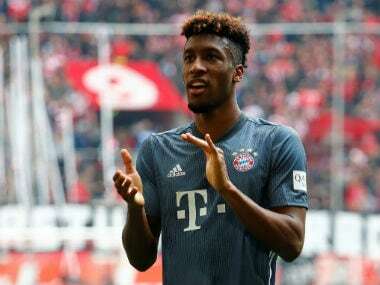 In the build-up to the match, Coman implied another ankle injury could force him into early retirement after he twice tore ligaments in his left ankle in 2018, requiring surgery in February, then again in August. His goal in Amsterdam was Coman's first since the back-to-back injuries on only his third appearance back. "'King' has put a bad injury behind him. I think the goal answered that talk of retirement. I don't think that'll be happening any time soon," said Kovac. After Robert Lewandowski gave Bayern a first-half lead in Amsterdam, Ajax went 2-1 up after the break as Dusan Tadic tapped home, then converted a penalty with eight minutes left. However, Bayern roared back, with Lewandowski converting a penalty three minutes from time before Coman gave the Germans the lead before Tagliafico rescued a point for the Dutch. Lewandowski's brace leaves him as the Champions League's top-scorer with eight goals in the group stages. Both teams finished with 10 men as Ajax's Maximilian Woeber, then Bayern's Thomas Muller were shown straight red cards for dangerous challenges. "We saw a sensational game. 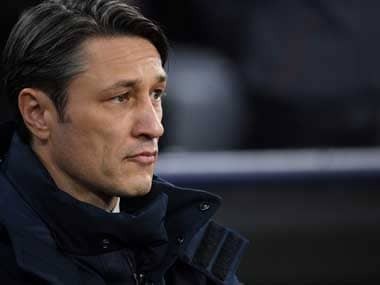 The spectators were treated to a real spectacle — six goals and two red cards," enthused Kovac. "I think we had the better chances, the clearer chances. We should have shut the game out, but Ajax were also very good." 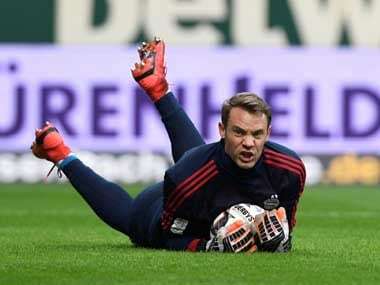 Germany goalkeeper Manuel Neuer has conceded 10 goals in Bayern's last six games and was less impressed. "It was a lively game, particularly at the end," said Bayern captain Neuer. "It's a bit annoying to concede a few goals. "Ajax are a very good team, we saw that here and in Munich," he added, speaking of the 1-1 draw at the Allianz Arena in October. "We had our chances, particularly in the first half when we probably should have scored one or two more."